Providing the world's growing population with its increasing demands for energy is a major challenge for science, business and society alike. Energy can be generated from many sources, but not all sources are suitable for every application. Much of today's technology has been built on solid, liquid and gaseous fuels derived from fossil sources. However, the supply of these is finite and their combustion produces carbon dioxide, one of the gases responsible for global warming. Therefore, alternative sources of energy are required which are renewable, sustainable and carbon neutral. 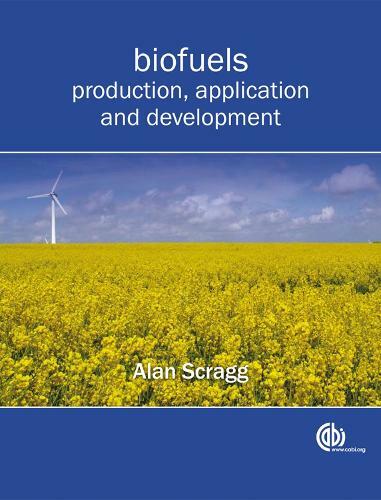 This textbook explores the production of biofuels as alternatives to fossil fuels, focusing on the technological issues that need to be addressed for any new fuel source. Each type of biofuel currently in production is considered in detail, covering the benefits and problems with production and use and the potential for biological material to provide sufficient energy for the world's population - the principles on which future fuel development are based.